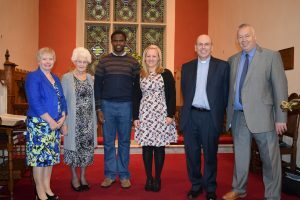 Our Crosslinks Mission Partners Gerald and Louise Mwangi were home for a 2-month home assignment, visiting lots of churches and individuals including ourselves in Ballinderry on 14th October. The Mwangis asked for prayer for ‘Cross camp’ a new camp at iServe in Nairobi in Kenya for anyone high school age (approx 14-21). Pray therefore for the organisation and practical details as well as a good number of students to come along for the week long residential. The dates are 10th – 15th December. 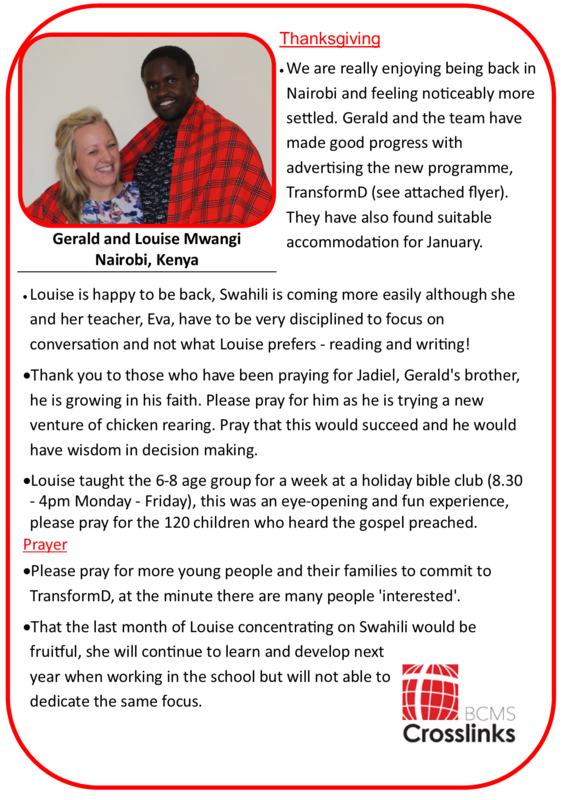 A major part of their work in Nairobi is with the TransformD discipleship programme, and they asked us to pray for the recruitment for the next course so that they have a good number of students for January. Before they left to go back to Kenya they shared with us their great news that Louise is expected twins next year, which is wonderful, but also a bit daunting I am sure, so go remember to pray for both of them in that, that the Lord would keep Louise safe throughout the pregnancy. Since returning, Louise has sent an update on the holiday bible club which you can see by clicking the link below.